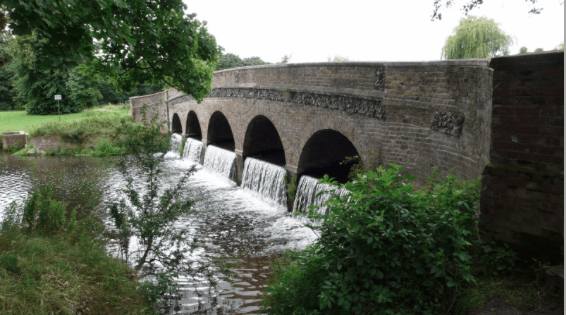 Foots Cray Meadows is the largest open space in the borough of Bexley and consists of rolling landscapes, wild flower meadows, ancient woodland and quaint country bridges over the river Cray which runs through it. This country park has ample parking onsite and is less than a ten-minute drive from Bexley Town Centre. Read more here. Mitcham Common in Merton has a range of habitats including woodland and scrub, ponds and grassland. There is ample parking and the Mill House pub/restaurant onsite. Hainault Road Farm in Redbridge appears to be isolated in rural surroundings but is in reality a short drive from London. The dirt road leading up to it could easily be England or the US. Not the obvious choice for a countryside location, however the third largest cemetery in London is hidden from the City by thick ancient woodland, and the wild flowers alongside winding paths provide a haven for wildlife. Look here. This park in Sutton has a quintessential English village feel to it with numerous historic bridges over picturesque ponds and the winding River Wandle, St Mary’s Church with its lychgate and flint wall, and several historic building remains. Here’s our Locations Fix newsletter.